Serving all of Brevard County, Florida, and the surrounding areas from our law office in Titusville, the attorneys at Allender & Allender are here to help you protect yourself and your assets for the future while creating a lasting legacy for your loved ones. Handling all areas of estate planning, elder law, probate and estate administration, Medicaid planning and other related matters, we offer a full range of services aimed at helping you establish your final wishes with regard to long-term health care, preserving your wealth and creating solid, effective plans that will serve your family well into the future. No matter the size of your estate or the complexity of your needs, you can rely on our law firm's team of experienced and personable attorneys to sit with you and your family and discuss all the options you have available. After deciding on the best course of action to help you achieve your goals, we will then walk you through the entire process to ensure no stones are left unturned. A family-run practice, we promise to treat you with the same care and respect we would members of our own family, and our attorneys have received AV-Preeminent peer review ratings* from Martindale-Hubbell for our high ethical standards and exceptional legal abilities. This means you can trust us with your most sensitive legal issues, and you can rest easy knowing your matter is in the best hands possible. 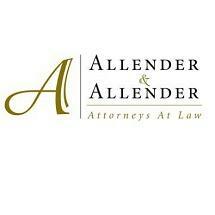 To find out more about how Allender & Allender can best serve your needs, you can call our law office or visit our website to schedule an initial consultation. Many people have heard of probate but wonder exactly what Probate is. At Allender & Allender, we have helped hundreds of seniors and the people who love them cope with the legal, financial and physical issues problems that come with growing older. We have helped hundreds of Florida families in guardianship proceedings. Every family should have an estate plan of its own. We will take the time to really get to know what matters to you the most.